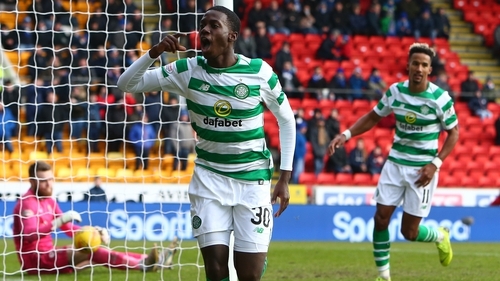 It was Celtic's second win in four days over St Johnstone following their 2-0 victory at Parkhead on Wednesday night and it increased their points advantage over Old Firm rivals Rangers. Clark made saves from Ajer's deflected shot and Burke's powerful drive as Celtic quickly re-established their dominance. A goalmouth melee in the 70th minutes from Forrest's cross saw Clark foil Scott Sinclair with the McDiarmid Park side escaping when skipper Joe Shaughnessy got to the loose ball before Edouard a yard from goal.